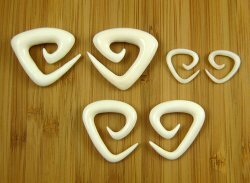 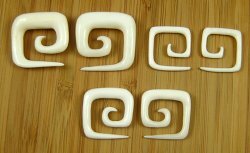 Simple shapes hand carved from Water Buffalo bone. 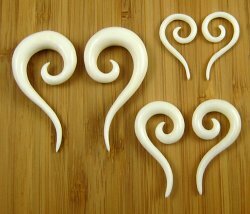 Bone Spirals. 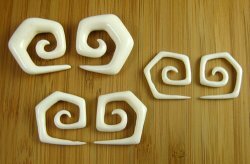 Square Spirals. 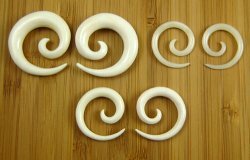 Bone Tail Spirals.